Construction on Watt Communities’ massive 260-home development off Arcadia Drive and Fair Oaks Boulevard in Citrus Heights is anticipated to begin later this year, with completion of the first homes expected by 2020. The 56-acre development, known as Mitchell Farms, will feature about 25 acres of open space parks and was approved by the Planning Commission and City Council last year. Watt Communities’ spokeswoman Diana Murphy told The Sentinel no grading or construction activity has begun yet at the site as of this month, but she said plans are being finalized and grading work is expected to begin in April, followed by construction several months later. She said the development is the largest Watt has undertaken in Northern California, with the company typically taking on infill projects in the 17-60 unit range. Watt is currently finishing up a 15-home development in Citrus Heights off Antelope Road, and also completed the 46-home AutumnWood housing development off Antelope Road near Interstate 80 several years ago. Murphy estimated homes in the new Mitchell Farms development will start being completed in early 2020. “It’ll take us at least a couple years to build them all,” she said. Homes will be grouped in five general “villages,” with sizes ranging from around 1,400-square-feet to approximately 2,000-square-feet, Murphy said. All homes in the development will feature three bedrooms and two-and-a-half bathrooms, with the exception of larger-lot homes that will have a loft that can likely be converted into a fourth bedroom. “We anticipate prices starting in the mid-3’s, going into the high 4’s,” Murphy said, although noting that pricing is subject to change between now and when the homes are completed, depending on the housing market. Homes in the various villages will range in lot size and layout, with 76 larger-lot homes featuring a 50-by-80-foot yard, while others will be on much smaller lots. The new housing development was popular among planning commissioners during a public hearing held last year, with many commenting on the need for additional housing to help alleviate the housing crisis affecting the state. Only 79 new housing units were constructed in Citrus Heights between 2013 and 2017, according to a draft environmental report prepared for the project. 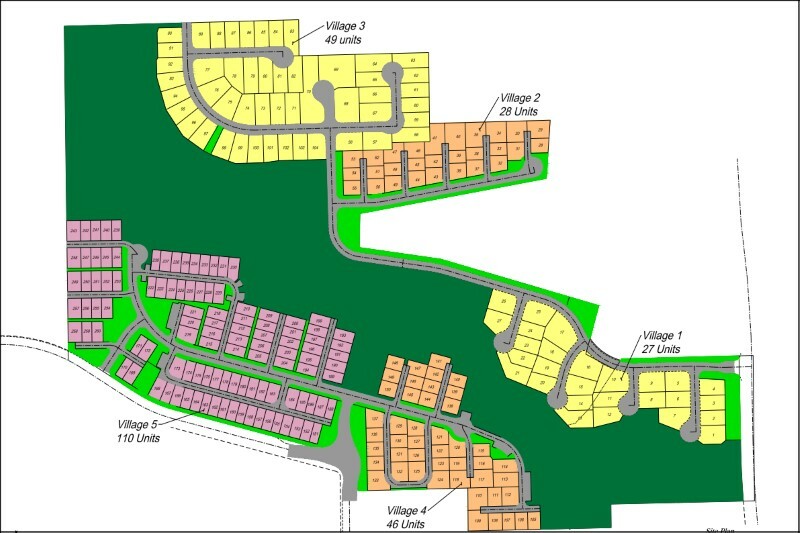 A popular aspect of the project has been the large amount of open space incorporated in the development, as a large swath down the middle of the acreage must remain undeveloped due to a 100-year flood plain associated with Arcade Creek. Under an agreement with the Sunrise Recreation and Parks District, the undeveloped acreage will become part of the parks district. New streets running through the development and connecting with Arcadia Drive and Fair Oaks Boulevard have yet to be named, but Murphy said Watt Communities hopes to do the same as it did with its Mariposa Creek development underway off Antelope Road. The new street installed in that development, Turner Court, was named in honor of the late-Councilman Mel Turner. “There’s a lot of history on that site so we want to honor that,” said Murphy, referencing the Mitchell Farms site. The 56-acre parcel had been owned by Ted Mitchell, whose family purchased 160 acres in Citrus Heights for $1,600 in gold coins over 100 years ago, according to an interview published by the city’s former History & Arts Commission. Mitchell, now in his nineties, is believed to be the city’s longest-living resident and still owns a significant amount of acreage in the area, including the land where the Citrus Town Center sits.